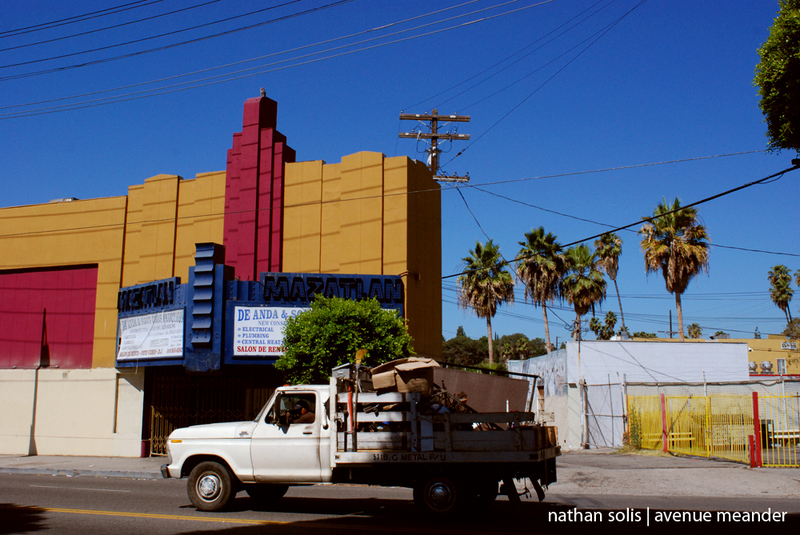 Boyle Heights/ San Luis Auto Glass – Lobo or Joas spoke to me about prophets and names from the Bible. 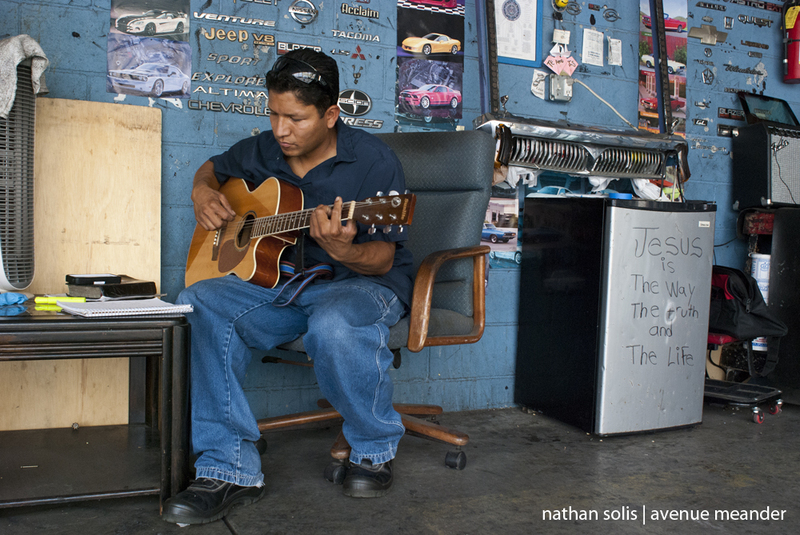 On slow work days he plays his guitar and sings lyrics written in a spiral notebook. 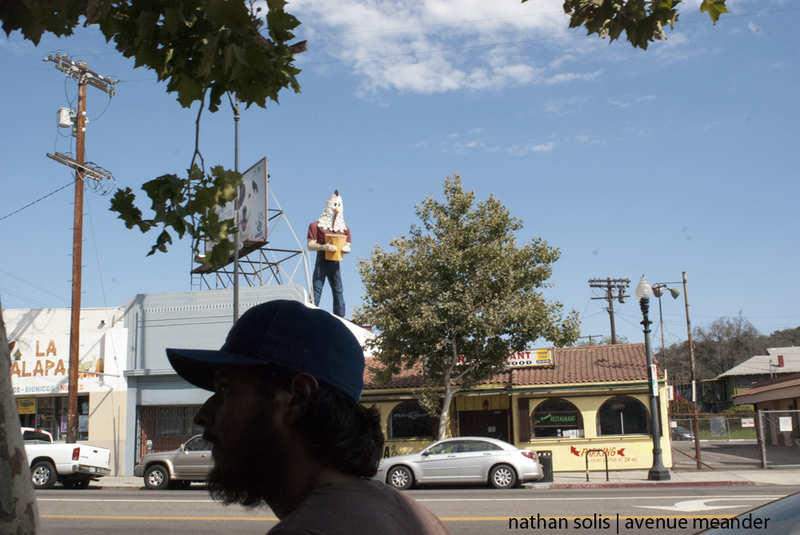 He told me a story from the Bible and I took his picture. 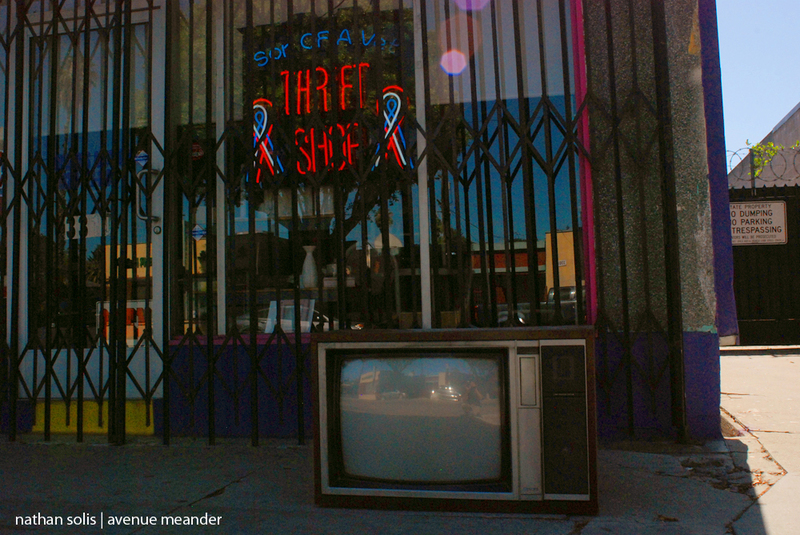 Equal trade. 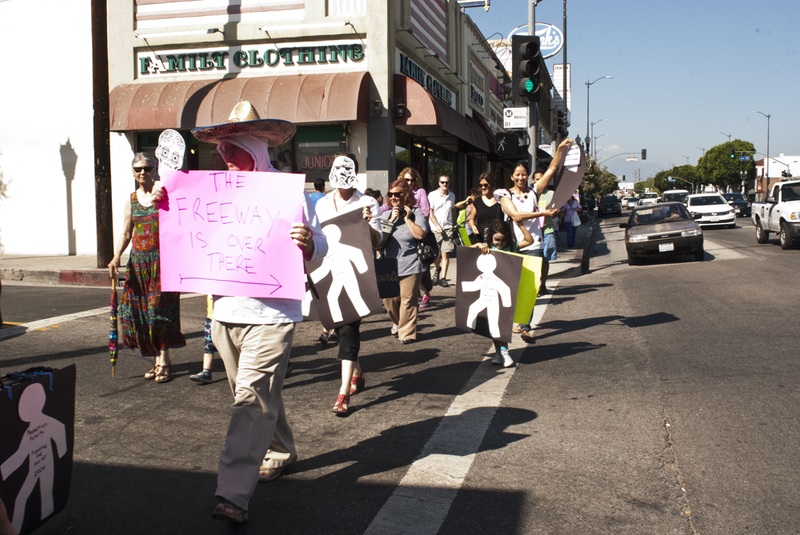 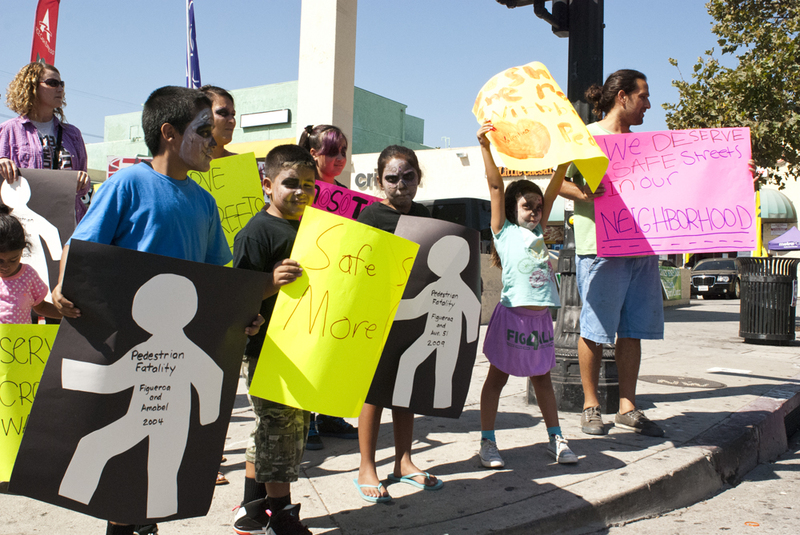 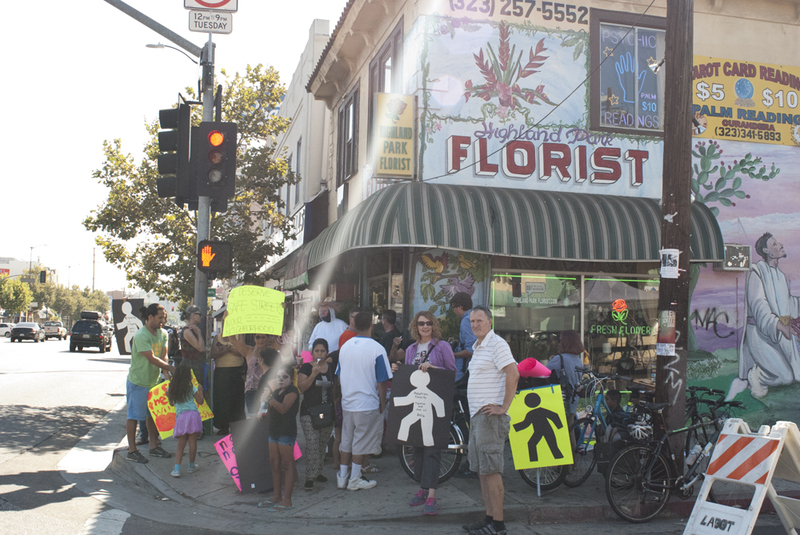 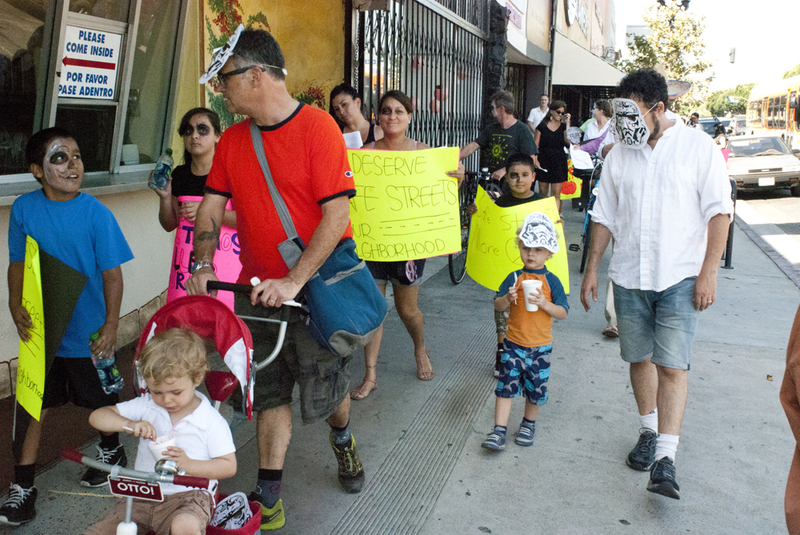 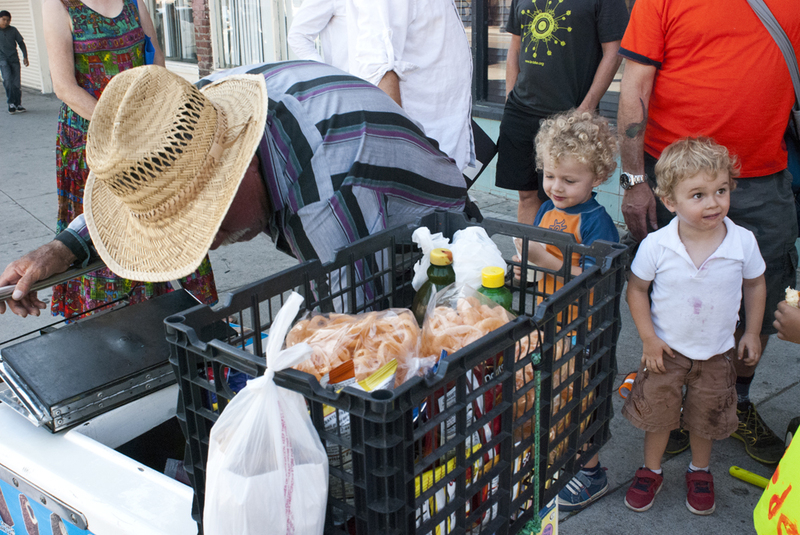 Highland Park, July 2014 – Pedestrian and bicycle advocates marched to their local councilmember’s office to ask for safer streets. 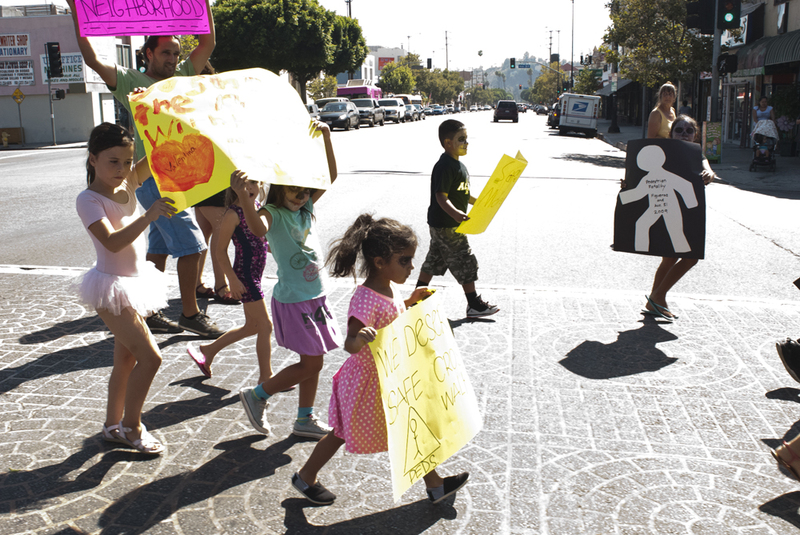 The marchers included parents, their children and concerned residents of surrounding neighborhoods who travel along Figueroa Street on bicycle. 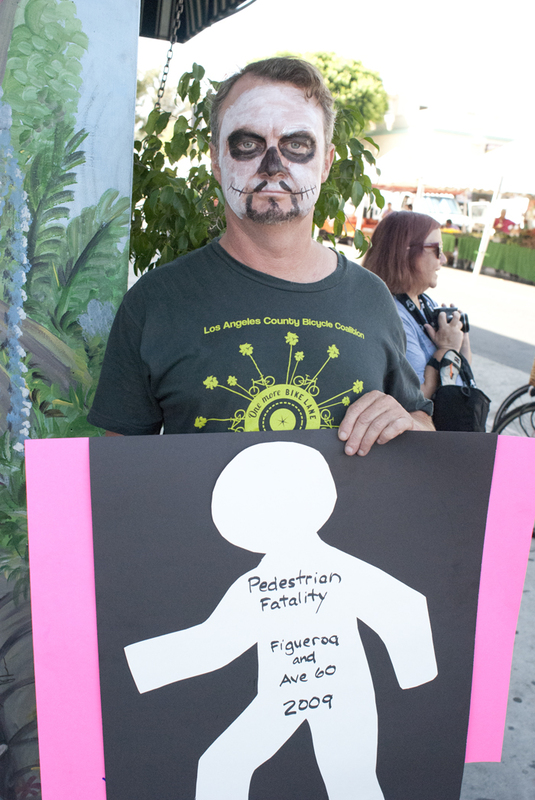 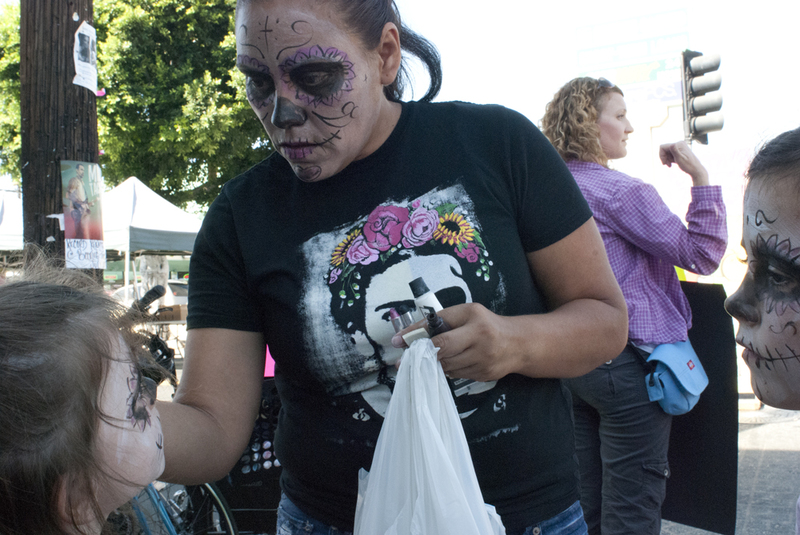 Poster boards read pedestrian fatalities along Figueroa, while others wore Dia De Los Muertos face paint to honor their memory. 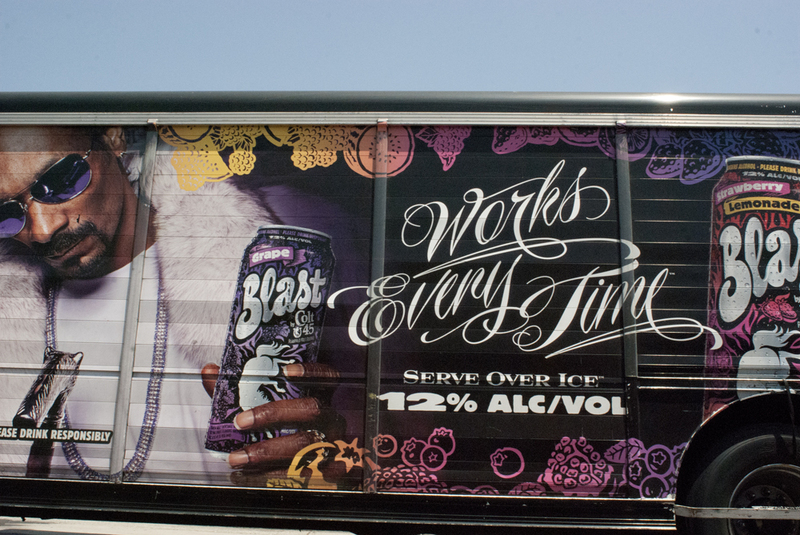 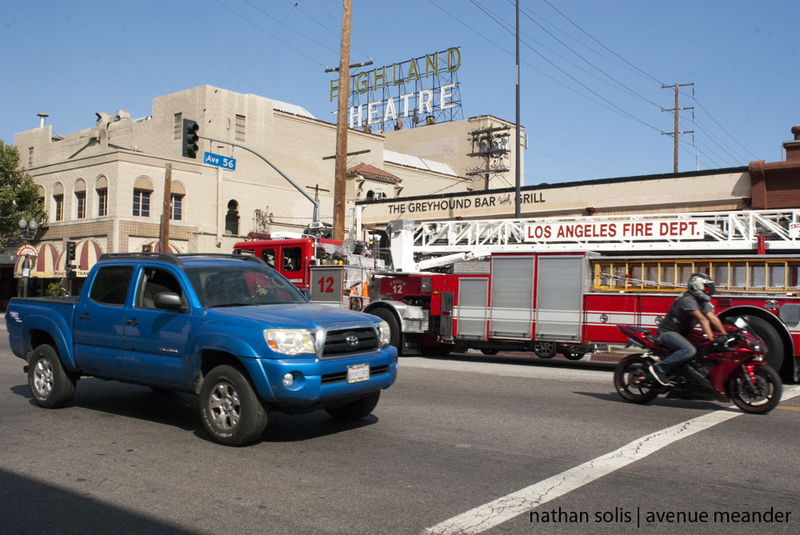 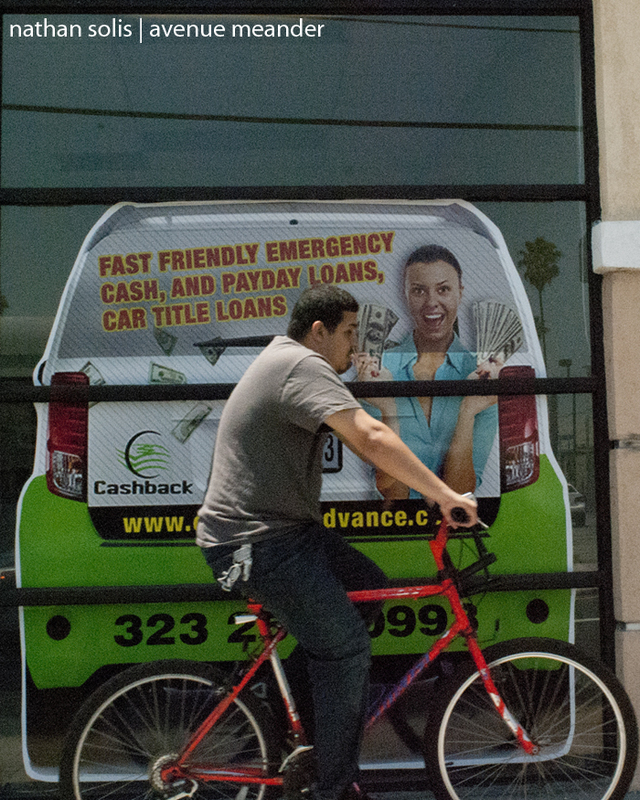 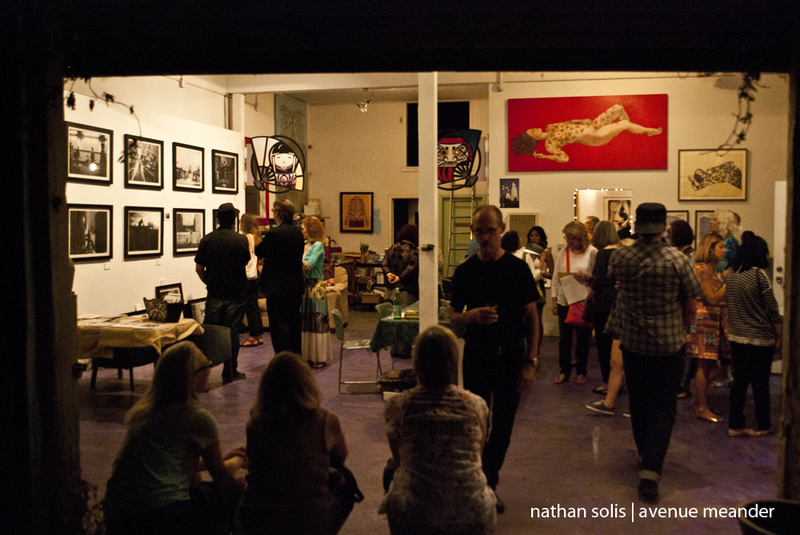 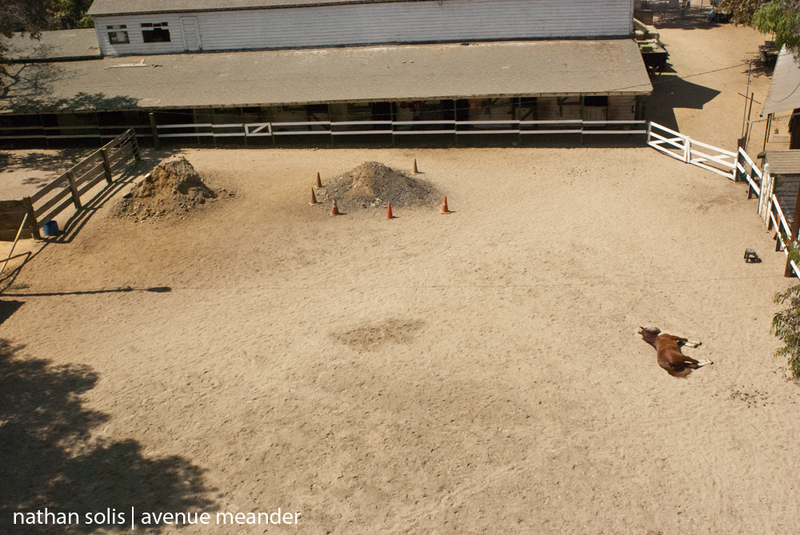 Story over at The Eastsider L.A.
Highland Park – Cash versus bike.